Location! Location! Location! 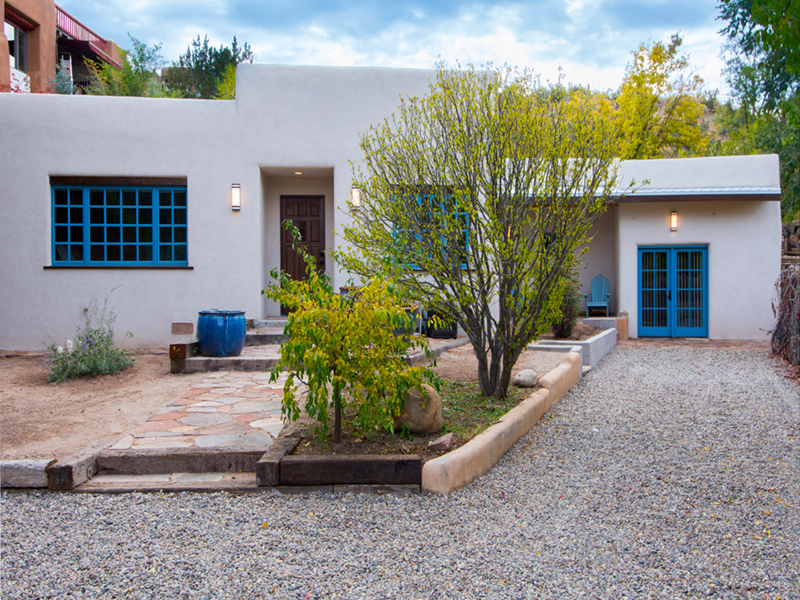 This beautiful home is just tree blocks to the Santa Fe Plaza. This wonderful newly renovated historic home is perfect for a large group! The home is over-the-top with new heating and air conditioning added to this 1955 classic adobe. 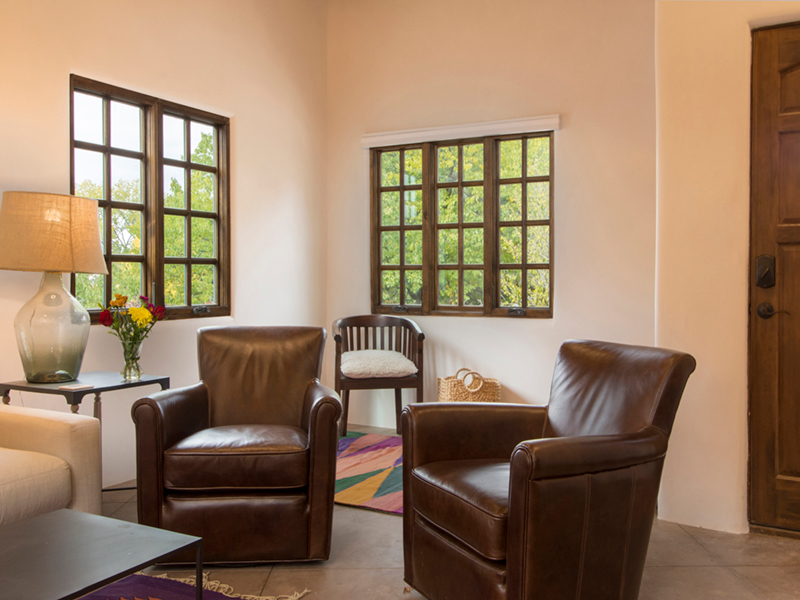 fabulous décor and space is the perfect Santa Fe rental. 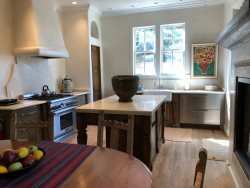 The property was totally redone in 2018 but retains the tile and wood floors and incredible vigas and kiva fireplace. The three bedrooms with King and two Queens are complete with memorable linens. There is also a sofa bed in the den if needed and two full baths. 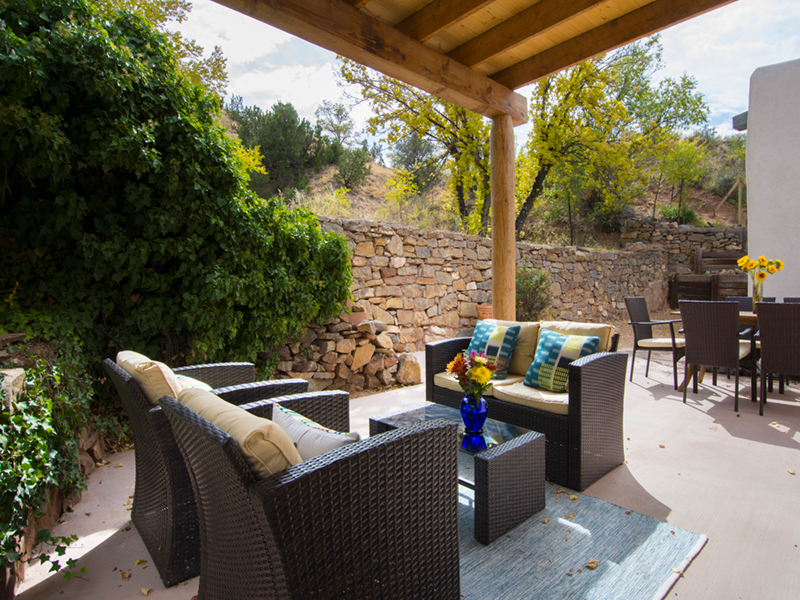 Enjoy a private patio off the dining room, perfect for outdoor entertainment. The owner may consider a well-behaved dog. No smokers please.